Case in point: after dropping my son off at school a few months ago, a skinny pit bull puppy walked right up to me and sat down — his sad puppy eyes staring right into my soul. I sat down and wrestled with him for a couple minutes before going inside to let the school know. They said they would arrange for him to be taken to the local SPCA. I knew damn well that my wife would have my head if I brought a stray puppy home: we have a one-year-old baby girl and were already stressed to the max caring for her and my three-year-old son. We had a new dog, Captain Murphy, despite our best judgment. And you wouldn't believe the lengths people would go — and more importantly for today's discussions — the amount of money they will pay to make sure their pets are soundly taken care of. In fact, they are treated better than many human beings around the world. While walking Captain Murphy through a park a while ago, I ran into a woman whose dog was badly limping along by her side. The dogs sniffed one another — as they do — and I casually asked what had happened to her pooch. She told me that while running full speed after a stick, 'Grover' ran smack into a long, sharp tree branch — completely impaling the poor pup. 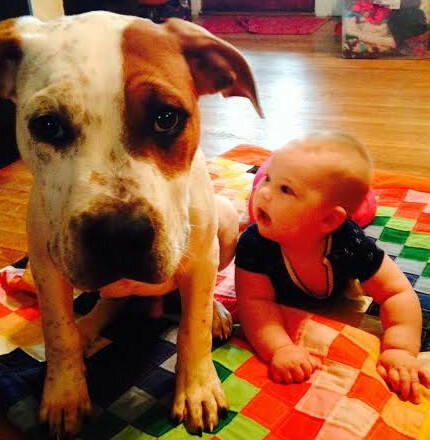 She took her to an emergency veterinarian to perform surgery. After the vet examined the injured dog, she broke the news: this procedure could end up costing almost $10,000, all said and done. “So, I guess you went for it?” I asked. “In a heartbeat,” she said. "I didn't even have to think about it." There aren't too many things in this life that folks would toss ten grand at without blinking an eye. But pets are one of them. We'll shell out almost $16 billion this year on veterinary care. In fact, in the U.S. alone, we'll spend upwards of $60 billion total on our pets this year. To put that in perspective, that is more than the entire GDPs of Croatia, Lebanon, and Costa Rica. Make no mistake... we are in the midst of a huge pet bull market. PetSmart was acquired last year for $8.7 billion in one of the largest private equity deals in recent memory. That stock rose 3,400% between 2000 and 2014. J.M. Smuckers recently paid $5.8 billion for Big Heart Pet Brands, taking control of Kibbles 'n Bits and Meow Mix. People are waiting longer to have kids, and they're having fewer of them... but spending on pets just keeps on rising. Boarding and training services are growing at a 35% annual clip. Pet food sales are up 100% since 2002. The sale of natural and organic pet health food has grown 29,285% in a decade — from $14 million to $4.6 billion annually. When it comes to our pets' health, there's almost no limit to what we'll spend. Pet health spending now stands at $30 billion annually. And that's why pet health-related stocks have been soaring. PetMed is one of the easiest and safest ways to play this trend. Known as America's Largest Pet Pharmacy, it operates 1-800-PetMeds. Besides prescription medications, it also offers non-prescription meds like flea an d tick control, vitamins, and hygiene products. 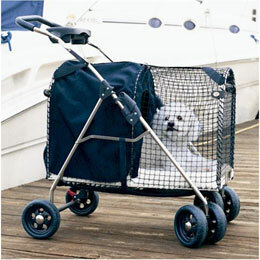 The company also sells all of the pet basics: food, crates, beds... and yes, even doggie strollers. It has served over 8 million customers, with around 2.6 million having purchased from PetMed within the last two years. According to the company, the seasonality in the business is due to the proportion of flea, tick, and heartworm medications in the product mix. Spring and summer are considered peak seasons in this regard against fall and winter, which represent the off-season. VCA is the leading animal health care company in North America. It operates through two segments, Animal Hospital and Laboratory. The Animal Hospital segment offers general medical and surgical services, as well as specialized treatments for pretty much anything your pet could be going through: oncology, neurology, endocrinology, ophthalmology, dermatology, and cardiology. In its 650 small animal veterinary hospitals in the U.S. and Canada, VCA does it all. It also sells retail and pharmaceutical products like pet food, vitamins, therapeutic shampoos, flea collars and sprays, and other accessories. VCA also offers traditional pet services like grooming, bathing, and boarding. The Laboratory segment serves animal hospitals, animal practices, universities, and other government organizations. The company offers a range of testing and consulting services and also sells expensive (and very profitable) lab equipment like radiography and ultrasound imaging equipment, related computer hardware, software, and ancillary services to the veterinary market. The stock has reflected the company's success and is up 53% over the last year — and continues to grow. Make no bones about it, pets are here to stay. Pet ownership is at an all-time high — 70% of U.S. households now have at least one pet, which is up 56% since 1988. That trend will continue to grow as people live longer (therefore caring for more pets) and wait longer to have children (which leads to more couples spoiling their pets in lieu of kids). And keep in mind, both of these companies are also quite resilient during market downturns. So in good times and bad, pet stocks can be your portfolio's best friend. For more in-depth research and stock analysis on the pet bull market, click here.